The short answer is no; sparkling wine is not Champagne. Champagne is named after the Champagne region of France, where the grapes that make Champagne are grown. According to the Comite Interprofessionnel du vin de Champagne (which, to save my fingers the effort, will be referred to as the CIVC), in order to be called Champagne a sparkling wine not only needs to be produced in this region, but it also needs to adhere to a strict set of regiments including the best grapes to use, degree of pressing, the amount of time it must be aged before bottling, right down to the pruning of the vineyard. So to really be a Champagne, a bottle has to have CIVC approval. Are there Champagnes in Other Regions? But those are just technicalities. The CIVC can tell any winemakers what to do, but it’s really only in the EU that the can enforce these rules. In California, for example, sparkling wine is openly sold as Champagne. These Champagnes may be of a lower quality because they don’t have to adhere to any regulations, but there are plenty of good sparkling wines in California, even if they falsely label their bottles champagne. But, as California’s wine-growing regions develop more of a name for themselves, the idea of regulation to protect their names becomes more popular. After all, why couldn’t any wine say they’re a Napa Valley if every supermarket has a bottle of California wine marked “Champagne”? These days, most wine-growing regions have the good taste to call their sparkling wines sparkling wines. Is Sparkling Wine Better than Champagne? With Champagne region coming from such a small and expensive area, it makes sense to look for alternatives. 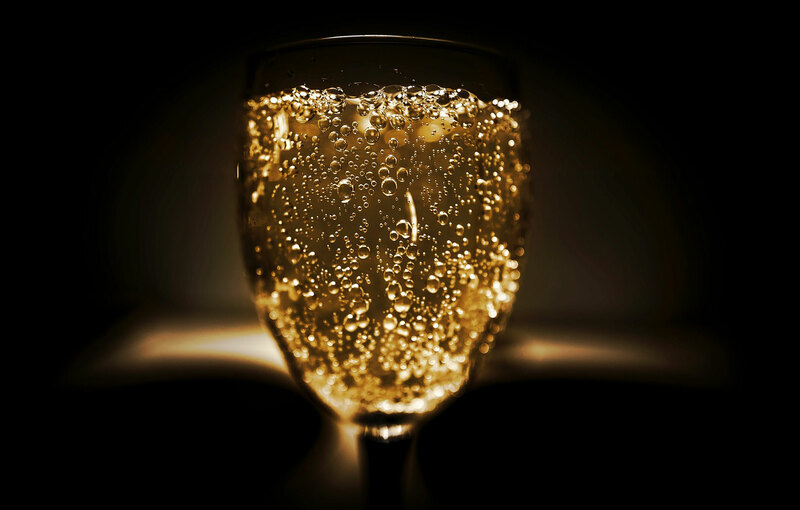 There are many sparkling wines that are just as good, if not better than Champagne. Often, if they are made outside of France, sparkling wines don’t meet other CIVC regulations because those regulations are made for a relatively cool climate with a specific soil makeup. The conditions for growing grapes in other regions could be wildly different than in France and making a good sparkling wine could mean playing by your own rules. So what kind of sparkling wines are other regions producing? Before the CIVC rules really took hold, cava was referred to as Spanish Champagne. According to Spanish law, cava can only be produced in Catalonia and use the champenoise traditional method, in which the wine goes through a second fermentation during which it is carbonated. Because of the difference in grapes used, and because Cava isn’t aged as long as Champagne, it is a lighter drink with more citrus flavors. Because of the production, and because the ‘cava’ name carries less clout, a bottle of cava is more inexpensive and a bottle of cava will often taste better than an equally priced bottle of Champagne. Prosecco is made in the Veneto region of Italy and is almost as popular Champagne. Unlike Champagne or cava, Prosecco’s secondary fermentation, when it is carbonated, does not occur in the bottle, but in a distillation tank. This results in a lighter drink with less of a yeast flavor. The flavors of Prosecco are also sweeter than other sparkling wines. Its fruit flavors include pear, apple, and even tropical fruit. In addition to this, Prosecco goes well with other liquors and mixers, making it a perennial favorite for cocktail lovers. While there are other sparkling wines, they aren’t as regulated as the regional wines of Italy, Spain, or France. Even Napa Valley sparkling wines vary wildly in they type of grapes used and even the fermentation method of the sparkling wine. So, in order to get any consistency, you have to shop by brand rather than by location. This California wine from Sonoma County is made with the same fermentation method as Champagne and Cava, giving it a dryer taste. (The ‘Brut’ in the name refers to a sparkling wine that is unsweetened.) This sparkling wine has aromas of apple, pear, and citrus with floral and spice flavors. German Sekt, by all rights, is its own category of wine. Sekt is known for using the traditional method of fermentation, and for the high levels of carbonation. (Most bottles of Sekt come with a special wire cage because of this.) But, while a good Sekt is made from Riesling, a typically German wine, grapes are often imported from France or Italy. This particular Sekt is made with Pinot Blanc grapes, giving it a lively and complex favor. Its traditional fermentation means a dryer wine, but it still maintains a smooth finish. In spite of the growing sparkling wine market, Champagne remains the best, if more expensive, option for lovers of bubbly beverages. With such a small area for production, one would imagine that the output of Champagne would be limited, but the market proves this assumption false again and again. Below is a list of Champagne favorites for special occasions, like the special occasion of wanting to drink Champagne. 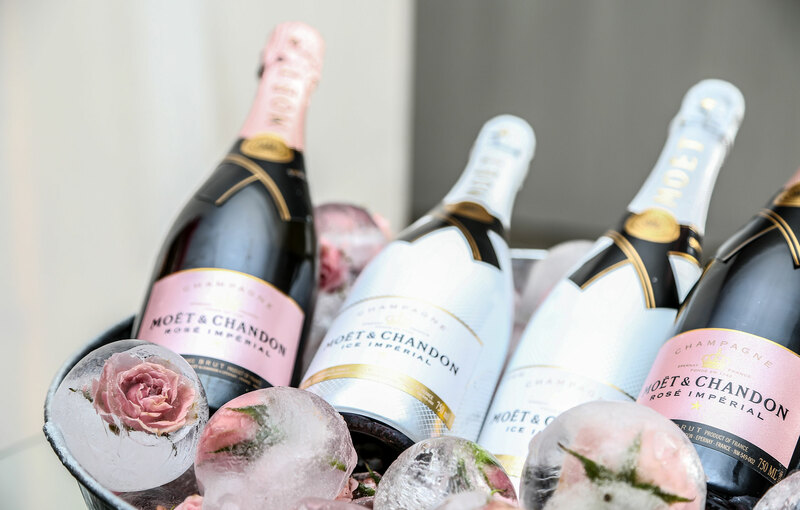 Moet & Chandon is the best selling brand of Champagne in the world for a reason. Their Champagne is the most refined, and most expensive bottle, in France, with the price of some bottles measured in the thousands of dollars. Their Imperial Brut, at only $40, offers a taste of the brand at a fraction of the price. Though the Brut label offers some bite, the taste remains refreshingly smooth and creamy. Nicolas Feuillatte is the number one selling Champagne in France, but comes in third in the world Champagne market. This bottle is smooth and balanced, with aromas of fruit, almonds, and hazelnuts. With a more expensive bottle from a (slightly) less renowned vineyard, this bottle contains more quality for the expense. The higher amount of Chardonnay grapes make for a fresher more elegant Champagne. Rich citrus and mineral flavors bring the drinker an unparalleled experience.